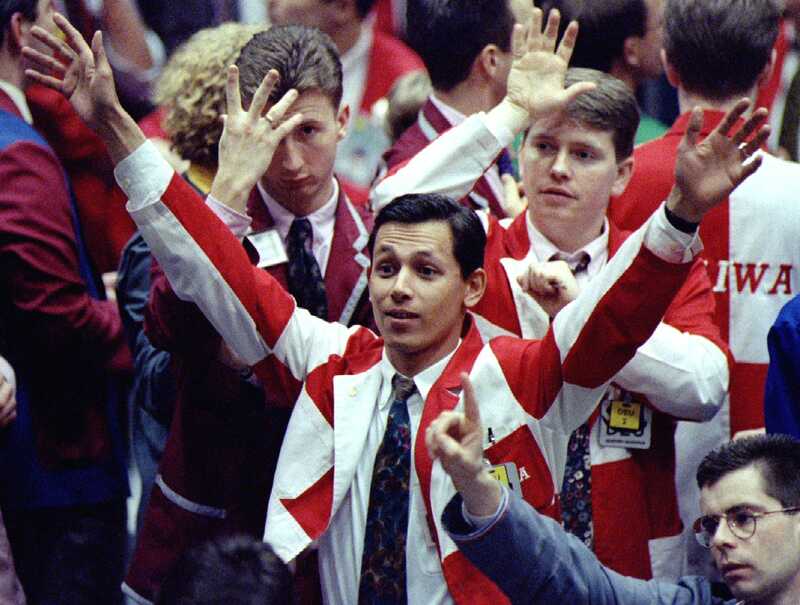 REUTERS/Kevin LamarqueDealers trade on the floor of the London International Financial Futures and Options Exchange March 5, 1993. If individual days can affect performance so dramatically, then why not be in the market for the good ones and out for the bad ones? Far easier said than done. 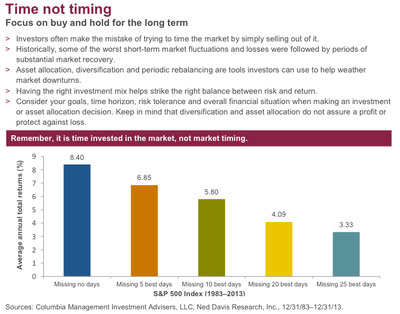 Many investors try to time the market, chasing today’s hot investment or fleeing the latest downturn. Such a short-term perspective can harm performance and jeopardize your long-term financial goals. 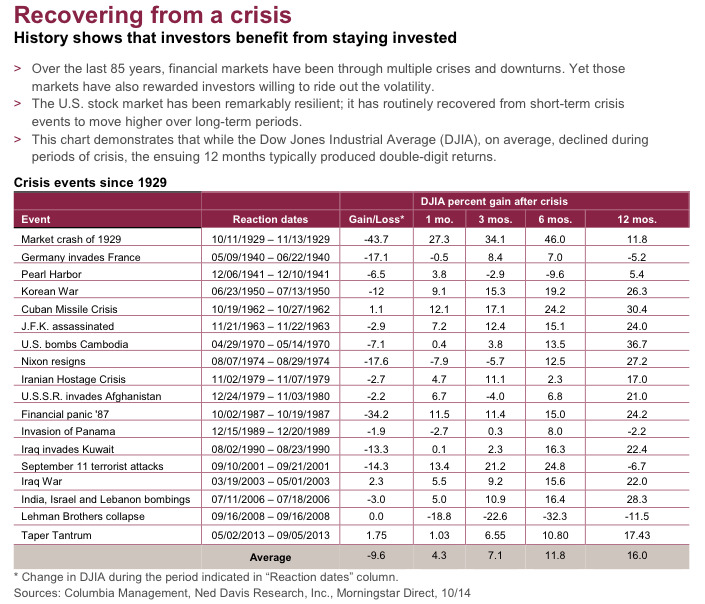 Another common tactic during periods of market volatility and uncertainty is to park long-term assets in cash investments. While waiting on the sidelines can sometimes seem the prudent strategy, it comes at a cost. 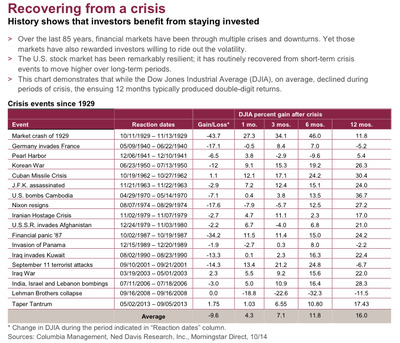 CDs and money market accounts may be less volatile than stocks and bonds, but they also offer little opportunity for growth and income. 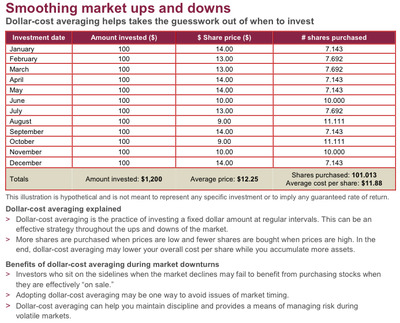 Stock market ups and downs may be part of the investing cycle, but they can put investors to the test. 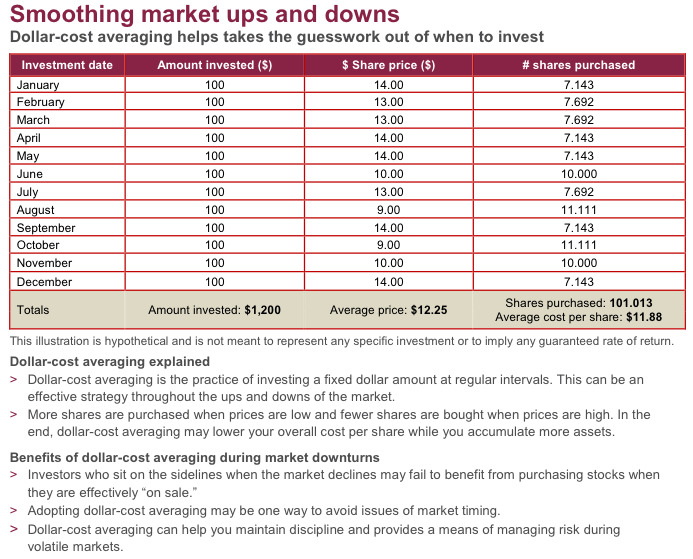 To help stay the course in volatile markets, Columbia Management offers the following illustrations based on fundamental investing principles. While no strategy can assure a profit or protect against loss, it’s been shown time and again that time, not timing, matters most when building wealth for the long term.